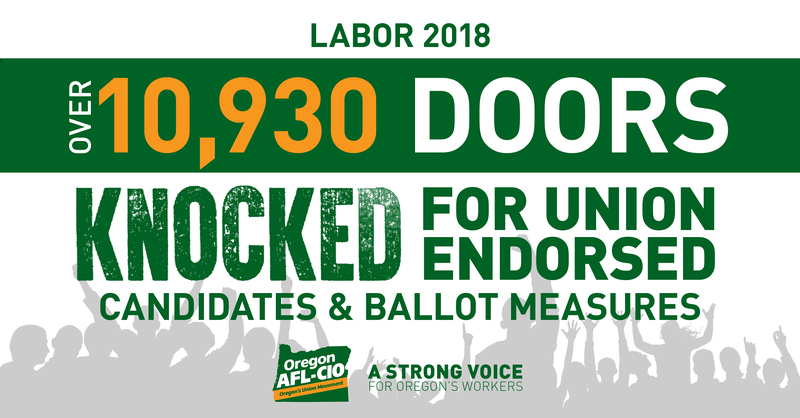 The Oregon AFL-CIO Labor 2018 campaign is in full effect! As of Monday, we’ve already knocked on nearly 11,000 doors for union-endorsed candidates and issues across the state and we’re just getting started. The doors knocked reflect both our paid canvassing operation as well as the incredible work done last weekend by union volunteers to speak with voters about Governor Kate Brown and Rachel Prusak who is running for State Representative in House District 37 and is a member of the Oregon Nurses Association. Are you ready to get involved with our Labor 2018 campaign and help contact voters about the issues that matter to working people? Click here to find an event near you! 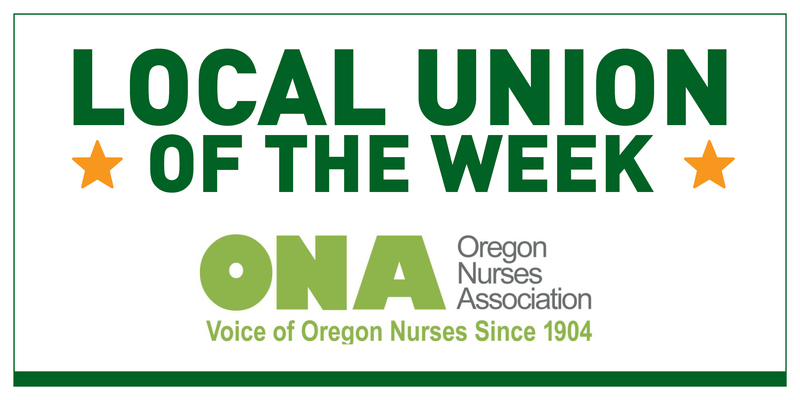 Local Union of the Week! We’re proud to announce our first Local Union of the Week for Labor 2018! Thank you to the Oregon Nurses Association for hosting Saturday's canvass and turning out lots of volunteers to knock doors and win votes. If you want to see your local union featured here, contact our field team to sponsor a phone bank night or a canvassing event by replying to this email. 17 years ago yesterday, America witnessed a sudden, devastating loss of life. That sight has haunted our country for nearly two decades, but the horrors didn’t end that day. Just this past month, Jimmy Martinez became the 182nd member of the New York City Fire Department to die of an illness stemming from rescue work at Ground Zero. We pledge to never forget all those who gave their lives for our country and to recommit ourselves to the safety and security of all working people. 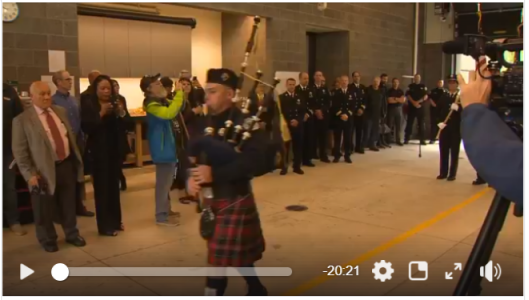 Firefighters across the country held commemoration events, including Portland Firefighters IAFF Local 43. Click here to watch a video from their event. In 2017, the Oregon Legislature passed a law to invest funds into our state’s crumbling roads and bridges. This investment will put thousands of people to work and will help improve traffic and road conditions for working people all over Oregon. 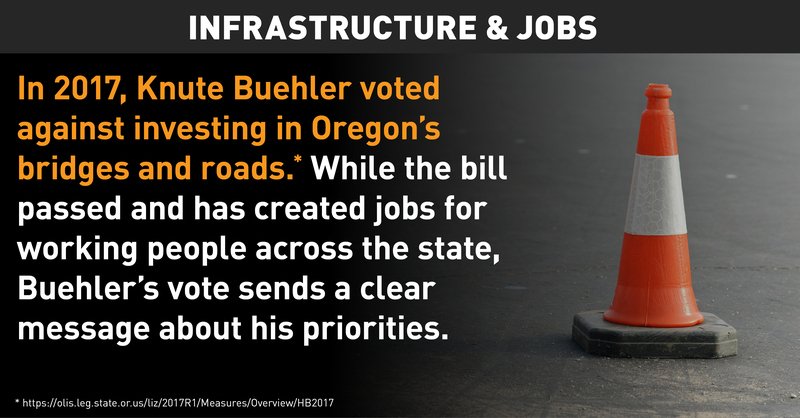 Knute Buehler, as a State Representative, voted against this bill. What does that say about his priorities as a candidate for governor? Learn more about Knute’s record on issues like the minimum wage and healthcare over at www.BuehlerBadForWorkers.com. As Brett Kavanaugh’s nomination hearings get underway, working people are demanding a Supreme Court justice committed to upholding the rights of working families. Unfortunately, Kavanaugh has a long track record of ruling against working people and in favor of greedy corporations. 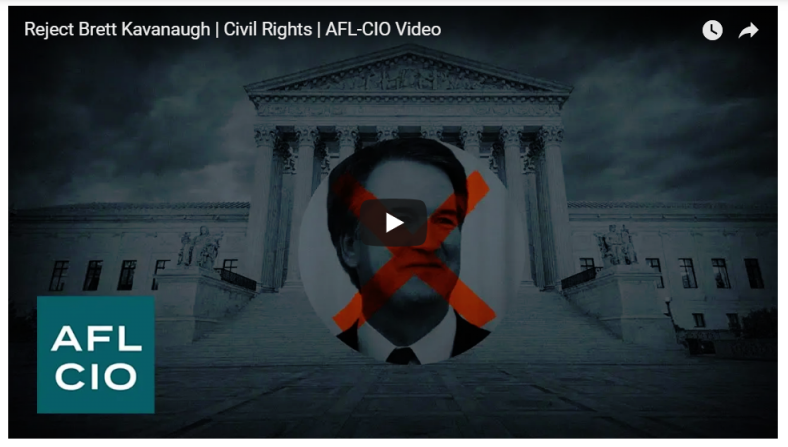 The Senate should oppose Kavanaugh and call on President Donald Trump to nominate someone who will protect workplace safety, access to health care, and the freedom to form a union and bargain collectively. It’s up to each of us to make sure our senators hear from workers—loud and clear—right now. Call your senator now to stop Kavanaugh’s confirmation as Supreme Court justice.Click here to take action today. The Oregon Labor Candidate School is accepting applications for the next class of union members ready to run for public office. The deadline is September 14, 2018 – click here to get all the details.